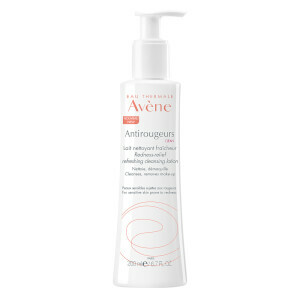 This intensive treatment for targeted areas is exclusively formulated with Saponin-enriched Ruscus Extract and soothing Avene Thermal Spring Water to increase microcirculation, decrease skin reactivity and reduce the appearance of redness associated with rosacea. Use in monotherapy or as a complement to medical treatment. Saponin-enriched Ruscus Extract improves microcirculation. Hersperidin Methyl Chalcone protects and strengthens the vascular walls. Dextran Sulfate provides decongesting properties and minimizes the appearance of swelling. 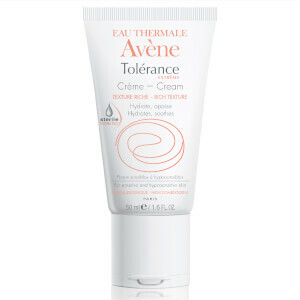 Avene Thermal Spring Water cools, soothes and provides skin comfort. 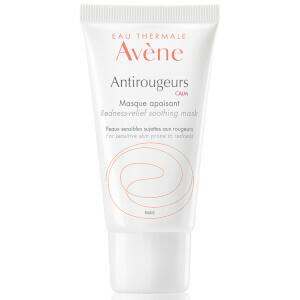 Clinical efficacy study with 68 subjects with erythro-couperosic rosacea, applied Antirougeurs FORT once every evening for 3 months. Results show a gradual reduction of redness month to month with a 50% reduction in red blood cell concentration in just 1 month. Very heavy texture. Didn't feel effective or relieved. Might not purchase again. I am initally quite pleased with this soothing, moisturizing cream. The consistency and packaging are terrific for my dry, sensitive, rosacea addled skin. 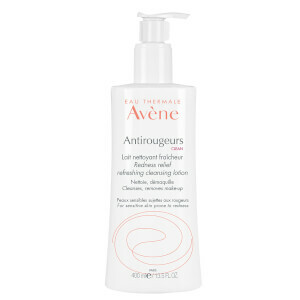 It is too soon to see if this will have a cumulative effect at reducing ongoing redness.